The UK government will allow Huawei to be a supplier for some non-core parts of the country’s 5G networks, despite concerns that the involvement of the Chinese telecoms vendor could pose a risk to national security. But it will be excluded from core parts of the networks, according to reports in national press. The news of prime minister Theresa May’s decision made during a meeting of the National Security Council yesterday was reported earlier by The Telegraph. The newspaper said multiple ministers raised concerns about her approach — including the Home Secretary, Foreign Secretary, Defence Secretary, International Trade Secretary, and International Development Secretary. The FT reports that heavy constraints on Huawei’s involvement in U.K. 5G networks reflect the level of concern raised by ministers. May’s decision to give an amber light to Huawei’s involvement in building next-gen 5G networks comes a month after a damning report by a U.K. oversight body set up to evaluate the Chinese company’s approach to security. The fifth annual report by the Huawei Cyber Security Evaluation Centre Oversight Board blasted “serious and systematic defects” in its software engineering and cyber security competence. Though the oversight board stopped short of calling for an outright ban — despite saying it could provide “only limited assurance that all risks to U.K. national security from Huawei’s involvement in the UK’s critical networks can be sufficiently mitigated long-term”. But speaking at a cyber security conference in Brussels in February, Ciaran Martin, the CEO of the U.K.’s National Cyber Security Centre (NCSC) expressed confidence UK authorities can mitigate any risk posed by Huawei. The NCSC is part of the domestic GCHQ signals intelligence agency. Dr Lukasz Olejnik, an independent cybersecurity advisor and research associate at the Center for Technology and Global Affairs at Oxford University, told TechCrunch he’s not surprised by the government’s decision to work with Huawei. “With proper management most risk can be mitigated. It all depends on the strategic planning,” he added. The heaviest international pressure to exclude the Chinese vendor from next-gen 5G networks has been coming from the U.S. where president Trump has been leaning on key intelligence-sharing allies to act on espionage fears and shut Huawei out — with some success. Last year Australia and New Zealand both announced bans on Chinese kit vendors citing national security fears. But in Europe governments appear to be leaning in another direction: Towards managing and mitigating potential risks rather than shutting the door completely. The European Commission has also eschewed pushing for a pan-EU ban — instead issuing recommendations encouraging Member States to step up individual and collective attention on network security to mitigate potential risks. It has warned too — and conversely — of the risk of fragmentation to its flagship ‘digital single market’ project if Member State governments decide to slam doors on their own. So, at the pan-EU level, security considerations are very clearly being weighed against strategic commercial imperatives and technology priorities. Equally, individual European governments appear to have little appetite to throw a spanner in the 5G works, given the risk of being left lagging as cellular connectivity evolves and transforms — an upgrade that’s expected to fuel and underpin developments in artificial intelligence and big data analysis, among other myriad and much hyped benefits. In the UK’s case, national security concerns have been repeatedly brandished as justification for driving through domestic surveillance legislation so draconian that parts of it have later been unpicked by both UK and EU courts. Even if the same security concerns are here, where 5G networks are concerned, being deemed ‘manageable’ — rather than grounds for a similarly draconian approach to technology procurement. It’s not clear at this stage how extensively Huawei will be involved in supplying and building U.K. 5G networks. National Security Council discussions are confidential. Decisions from those meetings are made and announced at the appropriate time through the established processes. The security and resilience of the UK’s telecoms networks is of paramount importance. As part of our plans to provide world class digital connectivity, including 5G, we have conducted an evidence based review of the supply chain to ensure a diverse and secure supply base, now and into the future. This is a thorough review into a complex area and will report with its conclusions in due course. Verizon has turned to Google to provide its internet subscribers with streamable shows and other content. The carrier has announced that it’s going to offer YouTube TV, the platform’s premium service, to both wireless 5G home and Fios broadband customers. That confirms a report from 2018 that the company was seeking a partnership with Mountain View — and Apple — to give customers more streaming options. At the other end of the market, Tesla also announced that it’s bringing back the standard range versions of the Model S and X. The 285 mile Model S will cost $78,000, while the 250 mile Model X will be $83,000. The changes come in the wake of Tesla stopping online sales of the $35,000 Model 3 and adding Autopilot as standard to the rest of its vehicles. The new Model S and Model X cars will be able to charge more quickly from Tesla’s Superchargers. They’ll be able to draw 200kW from the company’s V3 charging stations, and 145kW from the V2. When the V3 superchargers were first announced at the beginning of March, both cars were limited to 120kW. Only the Model 3 can take advantage of their maximum rate of 250kW. 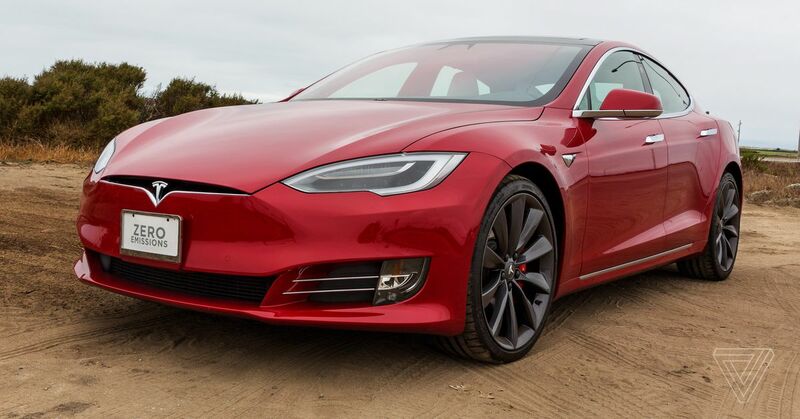 Outside of the new drivetrain design, the new Model S and Model X cars are also equipped with a new air suspension system that Tesla says should feel softer while cruising and more responsive during “dynamic driving.” The company says it plans to continue upgrading the system with future software updates. The new Tesla Model S and Model X are available starting today. If existing owners of either car want to buy one of the new models then Tesla will include the $20,000 Ludicrous Mode upgrade at no additional charge. Better than tossing it into the trash, no? The moment you realize your phone is dead, and you’ll have to spend at least a few hundred bucks for a new one, is never a very happy one. But you can make it a bit less frustrating by taking your phone apart, glueing the parts onto a glass, and framing it as if it were an artwork. Reddit user TheIncorporeal did exactly that, and the result is quite aesthetically pleasing — especially if you’re a tech geek. Of course, making it look this nice isn’t exactly easy, but TheIncorporeal has some tips on how to do it. The short version is that you need to find the right frame and arm yourself with patience; but check out his comments, below, for details. He’s done the same with several iPhone models, including an iPhone 5, 4s and 4, and the results are equally beautiful. Given that practically everyone has a dead or near-dead phone lying around somewhere these days, finding material to work with shouldn’t be much of a problem. Now, all you have to do is put in some work, and your walls could be adorned with pretty phone-part artworks in no time. If that sounds like too much trouble, you can contact TheIncorporeal directly, via this email: deconstructeddevices@gmail.com. He’s turning his idea into a business and is doing commissioned work.